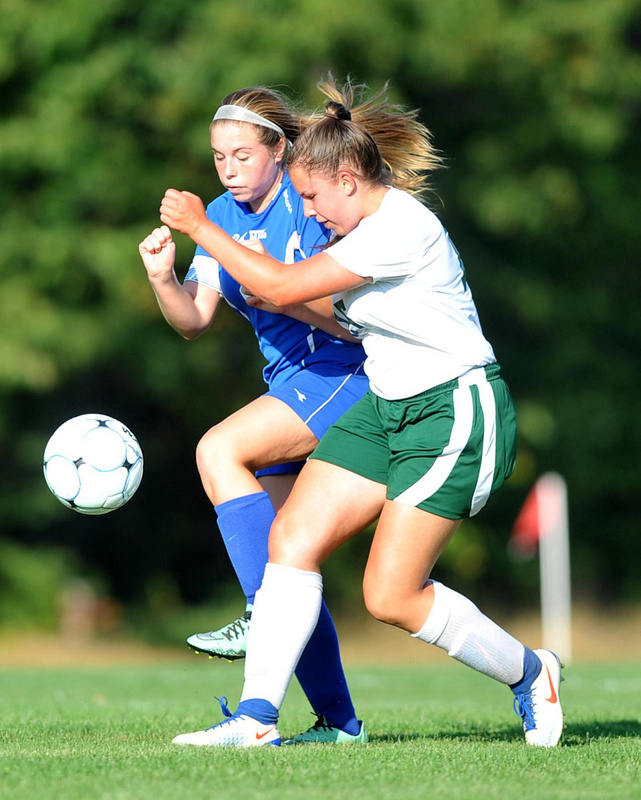 MADISON — Ashley Emery and Jillian Holden each registered hat tricks as the Madison girls soccer team beat Boothbay 9-1 in a Mountain Valley Conference game on Wednesday. 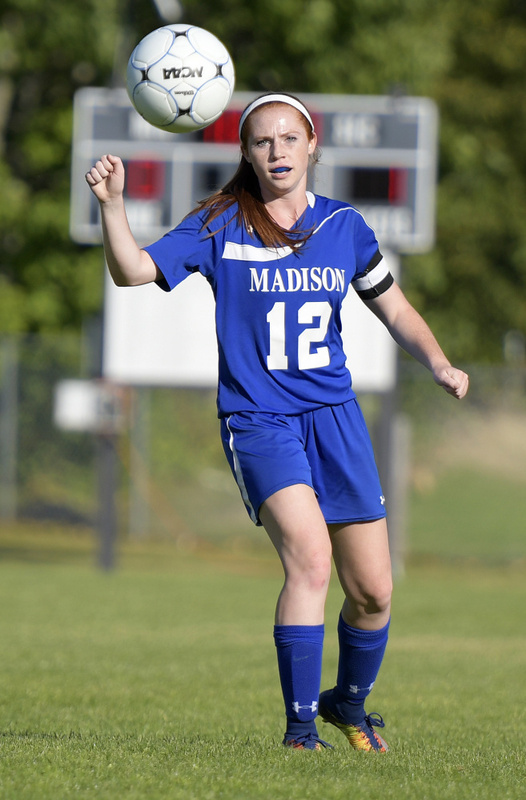 Emily Edgerly added two goals and an assist for Madison (8-1-0), while Jessica Turcott also scored. Olivia Paolillo scored for Boothbay (2-6-0). MONMOUTH 7, LISBON 1: Tia Day scored four goals and set up two others as the Mustangs rolled to the MVC win in Monmouth. Audrey Fletcher had two goals and three assists for Monmouth (6-1-0). Destiny Clough made 12 saves. Destiny Deschaines had the lone goal for Lisbon (3-4-1), which got a 24-save effort from Emma Houle. 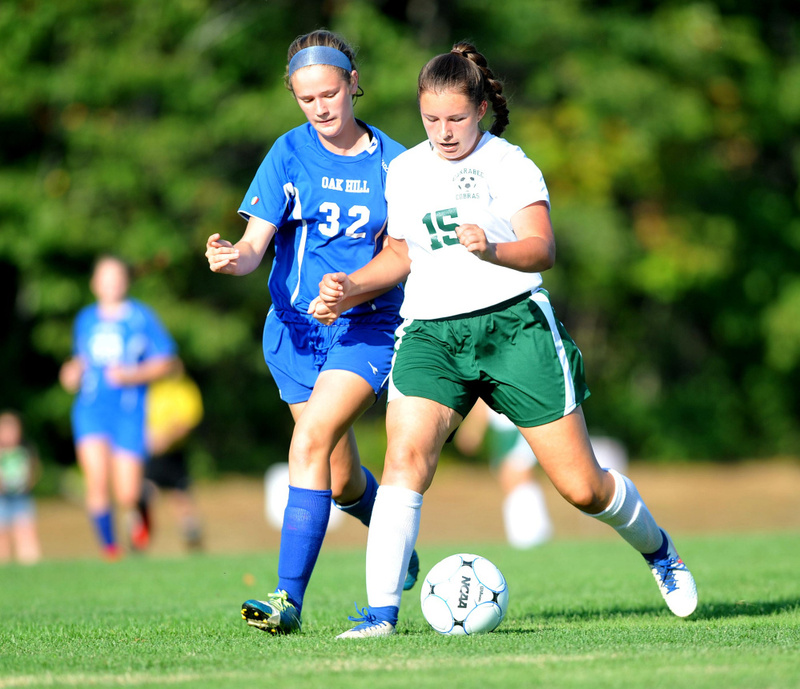 HALL-DALE 4, DIRIGO 1: Sabrina Freeman had two goals and an assist to lead the Bulldogs to the MVC win in Farmingdale. Madisyn Smith added and goal and an assist for Hall-Dale (4-3-2). Maggie Gross also scored, while Riley Johnson made seven saves. Lille Williams scored for Dirigo (0-8-1).